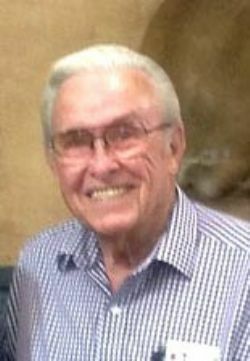 Robert Earl “Bob” Pittman passed away on Friday at the age of 81 years young. Bob is predeceased by his father Joe, mother Lottie, brothers Ernest and Raymond. Bob is survived by his loving wife Carol (Driskell) of 60 years. They were married in Mississippi on January 19, 1959. Bob is lovingly remembered by his brother JL, and his sister’s Helen and Cuba. He will be forever cherished by his children Rory, Terri, and Michael, and his loving grandchildren Nathan, Ben, Kimberly, Brittany, Michael, Christian, Rebecca, and Mason. He will be missed dearly by his great grandchildren, Tyler, Trevor, Demetri, Katherine, Kenner, and Caroline. Bob was born in Toxey, Alabama, on July 20, 1937. He graduated from Choctaw High School in 1955 and went on to work for Allstate Insurance and Dean Witter, living in Atlanta and then Chicago for many years before retiring and returning home to beautiful South Alabama. He will be remembered for his joyful spirit, his welcoming nature and his energy, by his family and all those who knew him. The visitation will be held at Mobile Memorial Gardens Funeral Home on Thursday, April 18, 2019 between 12 PM and 2 PM. The funeral service will be held immediately after. Entombment will be in the Mausoleum at Mobile Memorial Gardens. Family and friends will gather immediately after with location to be shared. A chapel service will be held at 2pm on Thursday, 04/18/2019 from Mobile Memorial Gardens Funeral Home, followed by a committal service at the grave site.